How do I convert the MS Word word document into PDF format? That is the question before me. I been doing a lot of reading on my Dell monitor for a long time and I just wanted to relax and read a PDF. So here is what I did. Logged in with my GMail account. 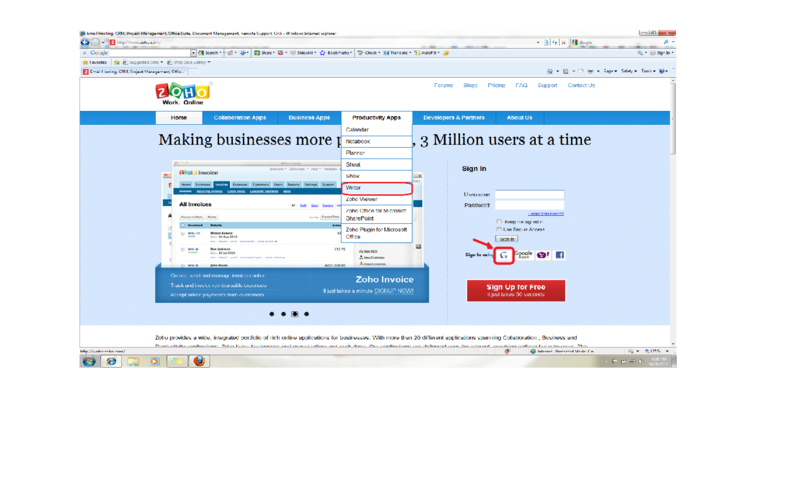 (Well, you can also register with Zoho for a free account and use all its services). Under the drop down list of Productivity Applications, selected Writer. From the File menu, chose Import option. Picked up the document from my desktop. Zoho Writer imported the document. Then again under File, I chose Export and from the sub menu selected PDF. The default Foxit Reader loaded the document for me and it was ready for me to read. Well there were a few issues with some spacing in couple of places. But that’s OK. It did not hamper my work. The bonus is you can also work online and save your documents online. Zoho at this point of time is offering unlimited space but it seems it might limit it to 1GB when it gets out of it’s current beta avatar. As a freelance content provider it is but natural that I deal with documents of all sorts. I open new ones. I save them and share them. Sharing most of the time involves mailing them across to others or uploading them to an online document management service and share a link or email as an attachment. During one of those events, I sent across a word file that I created in Word 2010 (beta). This document has an extension docx. In the past I did have problems opening documents because of compatibility issues between different versions. Word 97 loses its format when you try to open it Word 95. Similarly you will find that a document that you created in OpenOffice looks different in certain respects, when you open it in MS Office word. During those times there were occasions when I used Abiword or some such RTF tool. While I was giving OpenOffice’s Writer a spin, I also downloaded a version of the MSOffice Word viewer. All of them came with their own constraints. Later I started using the online versions. I used to upload my documents to Google Docs, or Zoho or to my account on Skydrive MS Office. I upload my document and then share the documents. Most of the time I used to send the link across and all the recipient has to do is click on the link and read it. So that is one more way to share your word document. 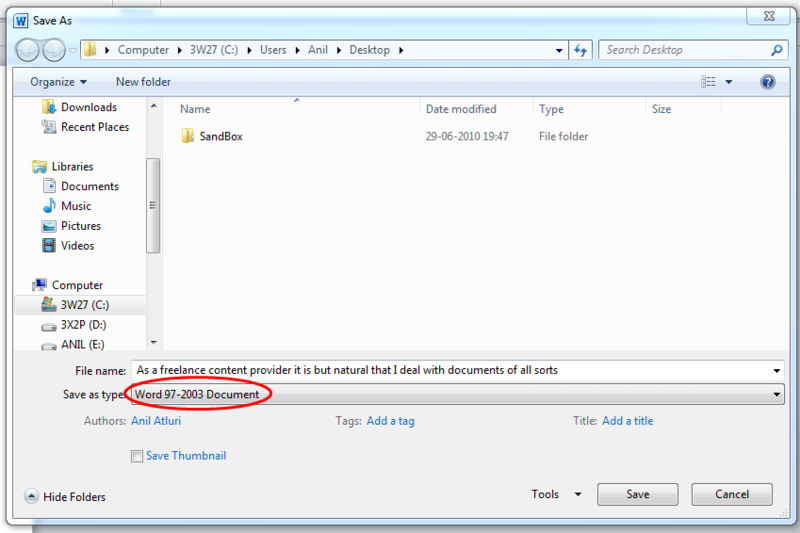 If you are using a Word 2010 Beta and if you are not sure about the version of the MS Office Word or any other word application the other person is using, it is best to open a ‘SaveAs’ dialog box and save it as ‘Word 97 -2000 document’.And then mail it across. Please feel free to tell me how you share you documents. Thank you. *In this instance I still am waiting for her review. There are times when you are on the move and you want to work on the Internet from a public computer, without leaving any traces. 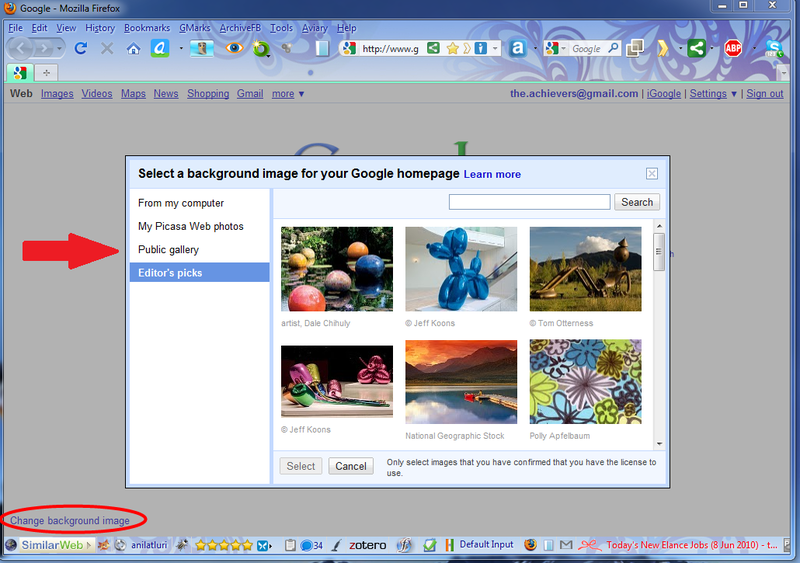 Reach the shortcut to the Google Chrome browser. Once in the properties tab, look for target box. 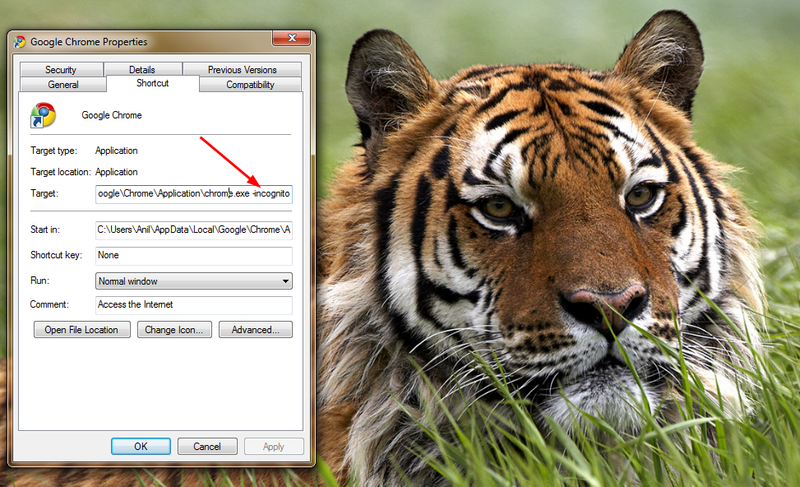 Leave a space after the “Chrome.exe” and enter a hyphen /dash. Type “incognito” without the quote marks next to the hyphen. (Make sure that there is just one single space between the “.exe” and the hyphen (–) Do not include the ” ” (quote marks). Now double click on the Chrome short cut. It opens in the incognito mode. Luca Grementieri, of Javafactory came out with an extension for Chrome. Once you install the extension Incognito Switcher, a single click on the extension icon opens your Chrome browser into a new ‘incognito’ window. You can try that too.